Will attack on Saudi Tanker Expand Scope of Yemen War? Dubai (AFP) – Saudi Arabia’s halt to oil shipments through a strategic waterway after Yemeni rebel attacks could provoke an international intervention in Yemen’s “forgotten” war, analysts say. The world’s top oil exporter on Wednesday suspended all oil deliveries through the Bab al-Mandab Strait after accusing the Iran-aligned Huthis of attacking two giant tankers carrying four million barrels of crude. 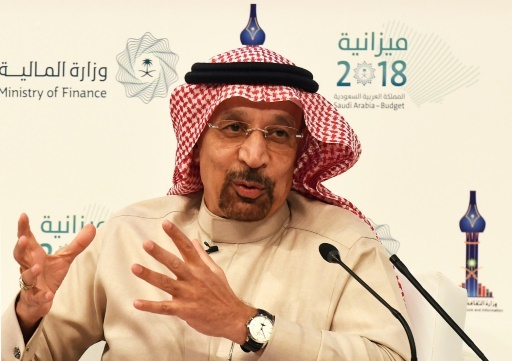 “All oil shipments through Bab al-Mandab Strait have been suspended temporarily until… maritime transit through the area is safe,” said Saudi Energy Minister Khalid al-Falih. AFP/File / FAYEZ NURELDINE. Saudi Arabia’s Minister of Energy, Industry and Mineral Resources Khalid Al-Falih, pictured in December 2017, announced that all oil shipments through a Yemeni waterway have been halted due to rebel attacks in the area. One of the vessels sustained minor damage in Wednesday’s attack and there were no casualties, the Saudi national oil company Aramco said, while the Huthis said they targeted a Saudi warship. The escalation of tensions in the strategic region could encourage outside powers to intervene, said Ellen Wald, author of the book “Saudi Inc”. “The Red Sea is a very important shipping lane. If there is a major disruption, European powers, Egypt and the United States would all have reason to intervene,” she wrote in Forbes magazine. Global oil prices rose slightly after the incident, although industry experts said the increase was unlikely to last. The incident, however, draws the attention of the international community to the dangers of spillover from Yemen’s festering three-year conflict. The Bab al-Mandab connects the Red Sea and the Arabian Sea and is a narrow, strategic navigation lane for oil and international trade. “The Saudi halt will cause prices to increase slightly and for a limited period,” Kuwaiti oil expert Kamel al-Harami said. The main impact of the incident appears to be military, Harami said. “It could be a reason for increased naval presence for many countries, mainly the United States and Russia, thus resulting in an escalation of tensions,” he said. The suspension comes as Saudi Arabia is seeking to ramp up oil production under pressure from the United States, and at a time of raised US-Iran tensions. James Dorsey, an expert on Middle East affairs, said the attacks on oil tankers would draw international attention to Yemen. “A spike in oil prices… may be short-lived, but the impact on Yemen’s forgotten war is likely to put the devastating conflict on the front burner,” he said. Saudi Arabia itself intervened in Yemen in 2015, leading a military coalition to prop up the country’s government after Huthi rebels ousted it from the capital Sanaa the previous year. Yemen’s government, in a statement Thursday carried by the state-run Saba news agency, condemned the attack on shipping and urged the international community to “immediately stand with and support” the coalition in its fight against the Huthis. At least 10,000 people have been killed and thousands others wounded in the conflict in Yemen, one of the world’s most impoverished nations. Over 20 million Yemenis need humanitarian aid, millions are on the brink of famine and hundreds of thousands have been infected with diseases, mainly cholera. Oil tankers from the Gulf pass through the Bab al-Mandab to enter the Red Sea as they head for Europe via the Suez Canal. 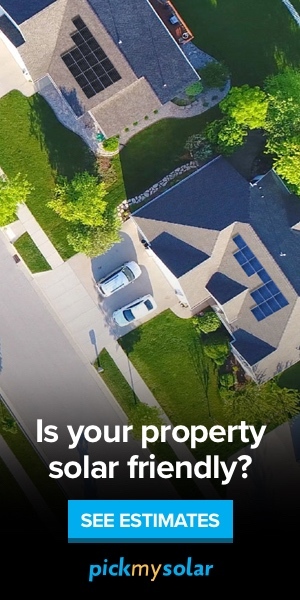 About 4.8 million barrels of crude oil and refined products pass through the waterway each day, according to the US Energy Information Administration (EIA). 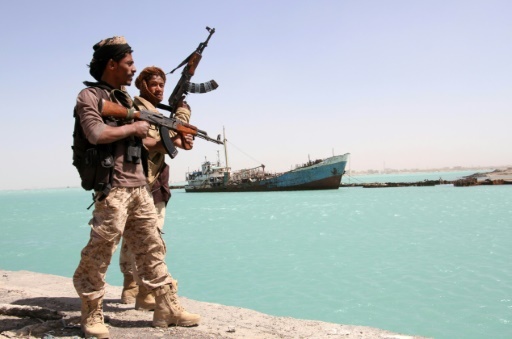 The Saudi-led coalition has repeatedly raised alarm that Huthi rebels threaten vessels in the Red Sea through their control of the strategic Hodeida port. “This terrorist attack is a dangerous threat to the freedom of navigation and international trade in the Red Sea,” said Turki al-Maliki, a spokesman for the Saudi-led coalition. Pro-government forces backed up by the coalition have paused an assault on Hodeida port in what they say is a bid to give United Nations-led peace efforts a chance. Featured Photo: AFP/File / SALEH AL-OBEIDI. Pro-government forces, pictured in February 2017, walk in the port of Mokha, a Yemeni coastal town that borders the Bab al-Mandab Strait, a strategic oil delivery waterway. Omar Hasan is an AFP correspondent based in the Middle East. His reporting has also appeared in: Yahoo, MSN, Business Insider, Sydney Morning Herald, France 24, Times of Israel, The Star (South Africa), Arab News, Daily Star (Lebanon), Japan Today, and The Citizen (Tanzania).